Certified McKenzie Spine Specialist (Cert. MDT). 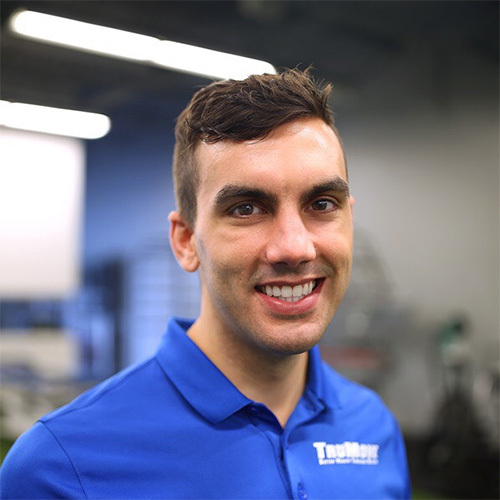 It was only his junior year in high school when Drew decided his life passion was to start his own physical therapy clinic. “I always knew exactly what I wanted to do,” he said. This intuition was confirmed after major knee and shoulder surgeries; his experience as a physical therapy patient launched his drive to build a new, innovative physical therapy clinic. 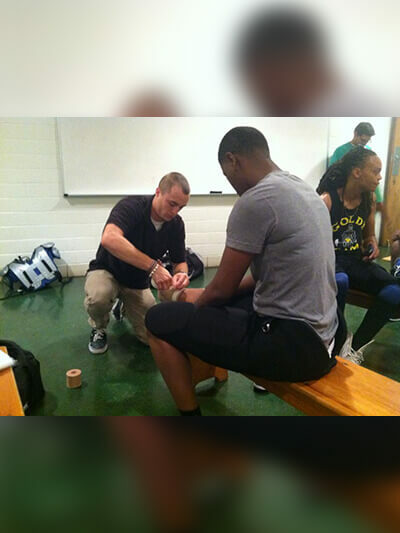 His experience as an athlete fuels his practice as a physical therapist. Drew swam competitively from age six to 26. Drew graduated high school as a first team All-American swimmer and was recruited as a member of the University of Kansas swim team. During his tenure at KU, he achieved many accolades, including first team all-Big 12, University school record holder and qualifier for the 2000 Olympic Trial. Following his competitive career, he coached for the Jayhawk Swim Team, Air Force Academy Club Team and Blue Valley North High School swim team. 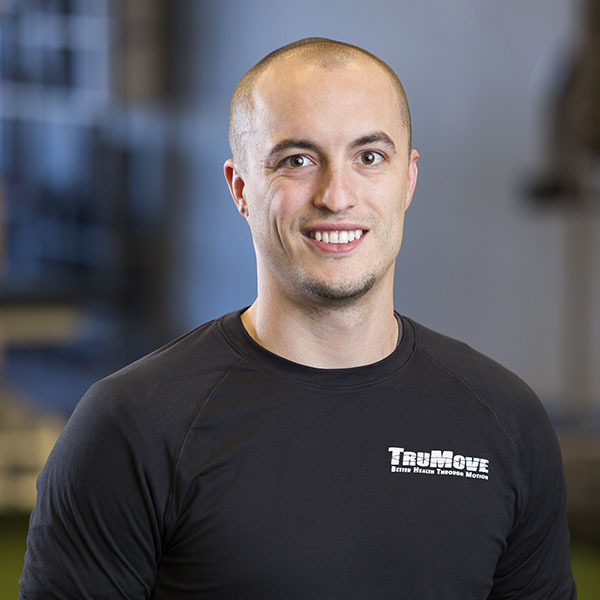 Since then, he has devoted his time to both the development of TruMove and his professional education. Immediately following school, he received certification as a spine specialist though the McKenzie Institute. He also became a movement specialist though the Gray Institute, and was one of Kansas City’s first Nike Golf Performance Specialists. 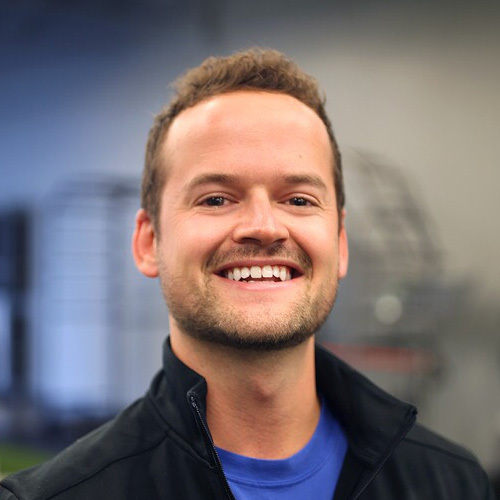 In 2014, Drew and fellow therapist Kim Erisman became the first physical therapists in Kansas City to receive their Dry Needling Certification. Together, Kim and Drew were the driving force to bring Dry Needling to all therapists and to the people of Kansas. 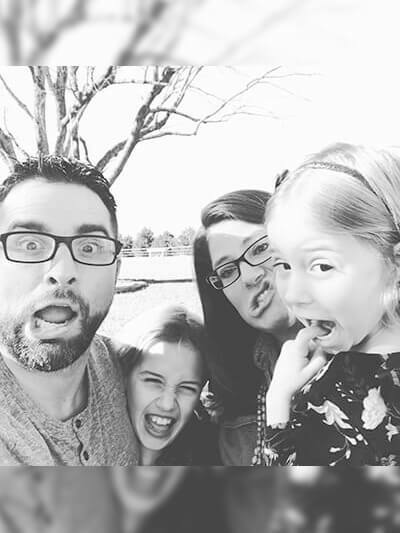 Drew married Emily in 2005, and they have two daughters, Ella Grace and Ivy Lee. 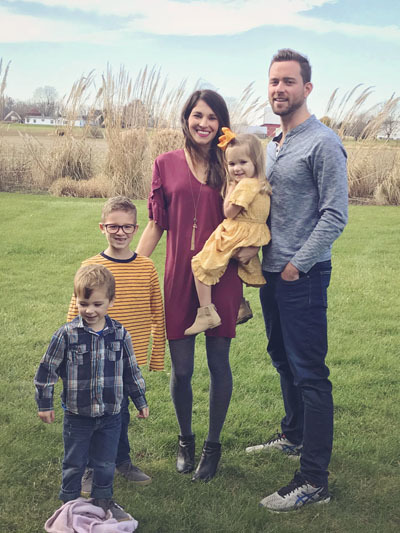 Outside TruMove, Drew enjoys spending time on their new family farm in Louisburg, KS and also enjoys swimming, mountain biking and golfing. A Kansas native, Ethan grew up in the small town of Eureka participating in a variety of sports. His love for sports transitioned into a desire to help athletes achieve and maintain high performance levels. He did so as an Athletic Trainer. Soon realizing the impact he could have on the lives of not only athletes, but anyone who was searching for relief from pain and wanting to get back to living/performing without those limitations, he dove in to physical therapy and has never looked back. Ethan immerses himself in research on new and innovative treatments, always searching for ways to push forward, continue to improve, and provide the best care available for his patients. 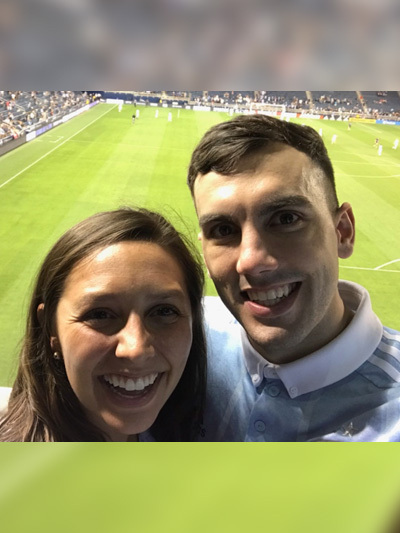 When Brennan isn’t serving patients at the clinic, this Kansas City native and avid sports fan likes to spend his time at Royals and Chiefs games. He certainly won’t shy away from an opportunity to spend a day at the lake with friends, nor does he have any complaints about hanging with his friendly little K9 sidekick, Maddie. 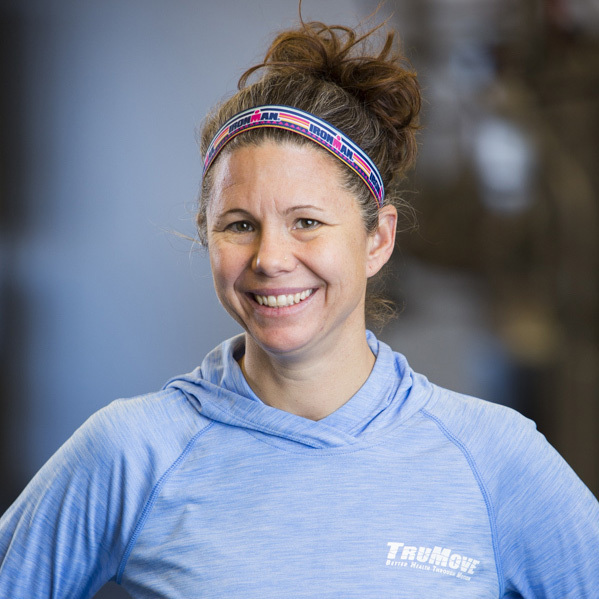 “Massage and coaching work so well together,” Liz says — and that’s why she loves her role as Massage Therapist at TruMove. Liz is a licensed massage therapist and Kinesio Tape practitioner and has been practicing sports massage for nearly a decade. She graduated from The American Institute of Massage Therapy in Kailua, Hawaii in 2003 with an emphasis in sports massage. 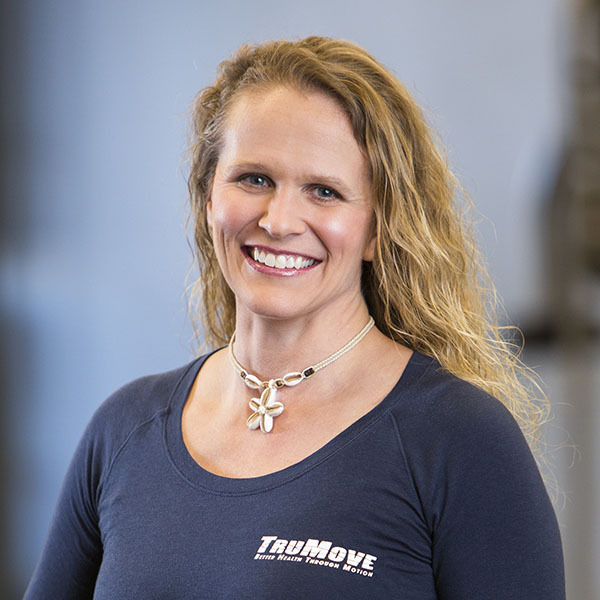 At TruMove, Liz serves elite and beginner youth and adult athletes, as well as other patients en route to recovery. She believes sports massage is essential to athletic training, as it supports performance, injury prevention, rehabilitation and recovery. 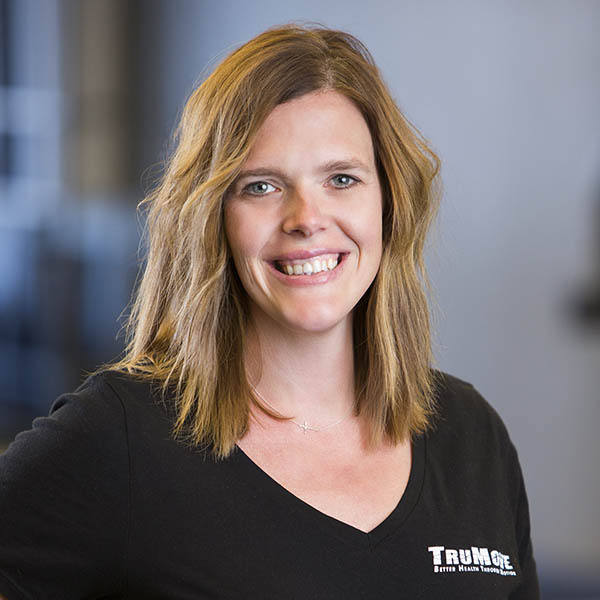 Outside her TruMove massage, Liz owns and operates The Reds, an all-female Half and Full Ironman Triathlon Training group for beginner to advanced ladies ready to take the plunge! 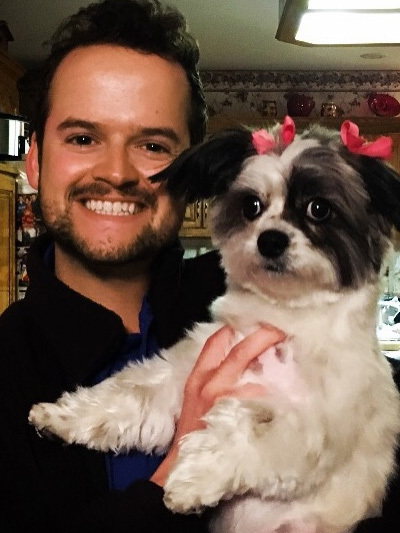 Most importantly, she has a five-pound small but fierce lady dog named Harley, dreams of someday being a master gardener, a dancer (who says you have to have rhythm to dance! ), and living on an island! 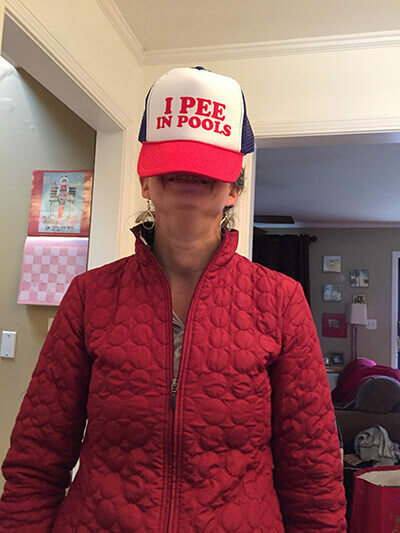 She loves travel and a good sense of humor. What sets TruMove apart? To Jamie Woodruff, it’s all about the environment: “TruMove is so family-oriented, and the people are just really great here,” Jamie says. 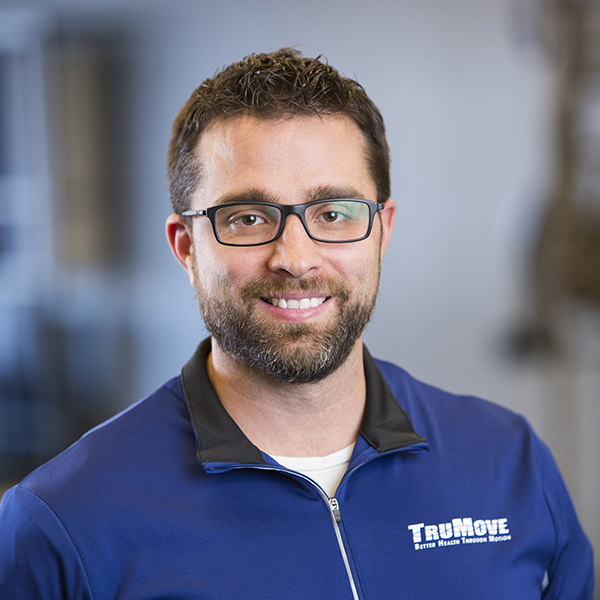 “Everyone gets along very well, and we’re happy all the time!” Jamie brings a wide variety of medical finance experience to TruMove, including work in insurance, benefits and claims at St. Luke’s outpatient rehabilitation department. Today, she serves TruMove clients in billing, insurance, finance and benefits. Outside TruMove, Jamie enjoys writing, walking and listening to live music, especially jazz and blues. 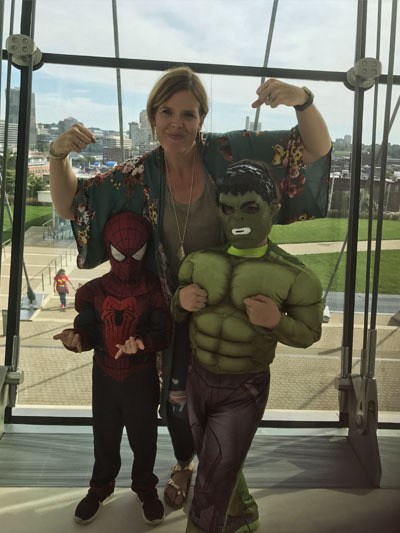 She’s very close to her big family, and loves spending time with her son — “he’s my pride and joy!” These days, Jamie is cheering him on at his many sporting events, including basketball, football and maybe even lacrosse. Fitness and movement have always been important in Amy’s life. 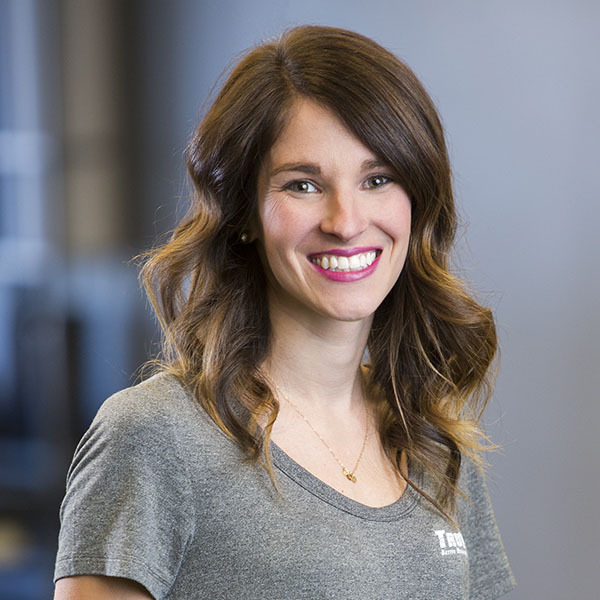 As a competitive athlete, coach, and personal trainer, Amy enjoys connecting with people at the intersection of performance and wellness. Before joining the TruMove team, Amy held a wide variety of roles including graphic designer, art director, stay-at-home mom, and P.E. teacher. Happy to have the opportunity to impact people in a positive, health-focused environment, Amy views her role at TruMove a blessing. “TruMove is a forward-­thinking company, helping people from all walks of life, doing amazing things with innovative treatments. We operate like a family here…a high-energy, good-humored family,” Amy says with a smile. 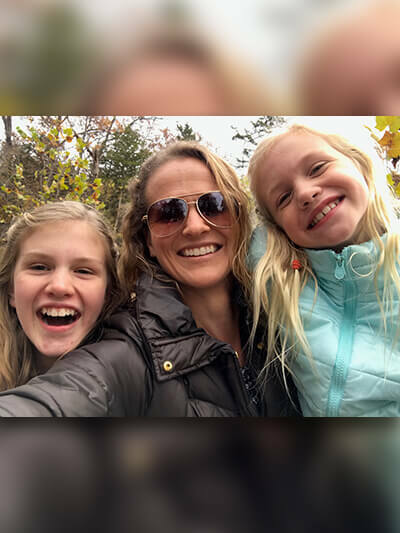 When not at work, Amy enjoys spending time with her two go-getter daughters and getting outside as much as possible. She loves playing and coaching sports of any kind. She started a local pickup basketball group, enjoys running and hiking the trails, and loves hitting the lake on her standing paddle board. Once a college soccer player, Amy would be happy to kick it on the pitch with anyone who’s game. Tapping into her creative background, she also makes time for writing, illustrating, designing, and photography. 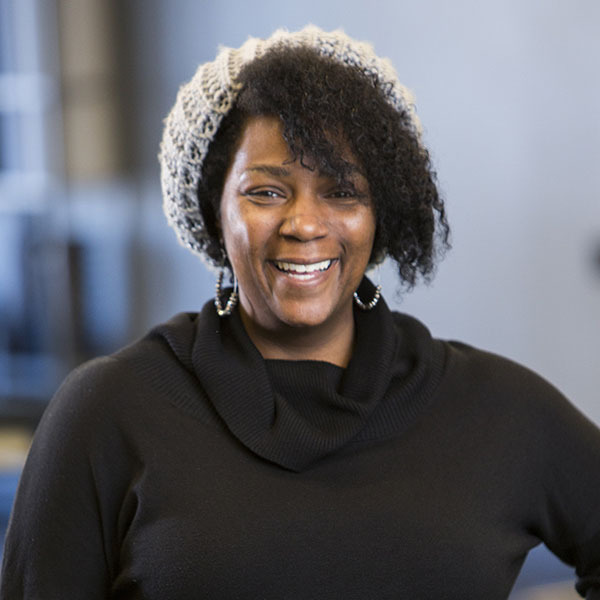 With a warm smile and welcoming personality, Rekeena Ridley serves clients through administrative services, sharing her joy for life and purposeful living with all who walk through the doors of TruMove. 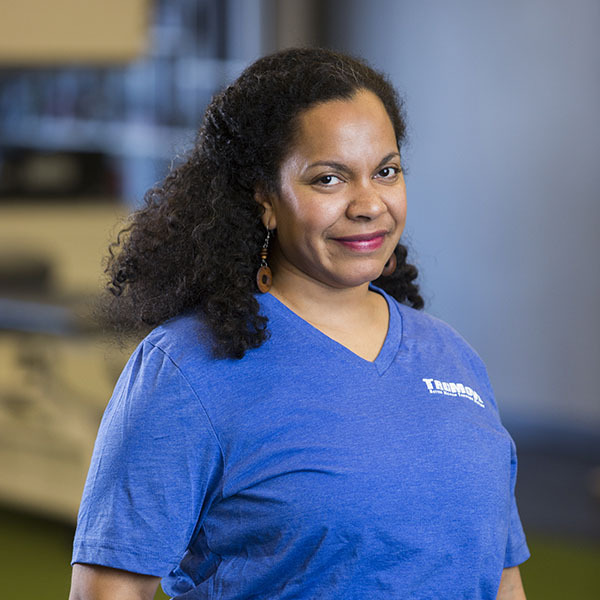 “What I heart most about TruMove is the people, the patients and co-workers, who become like family and are the heart-center of the clinic,” says Rekeena. 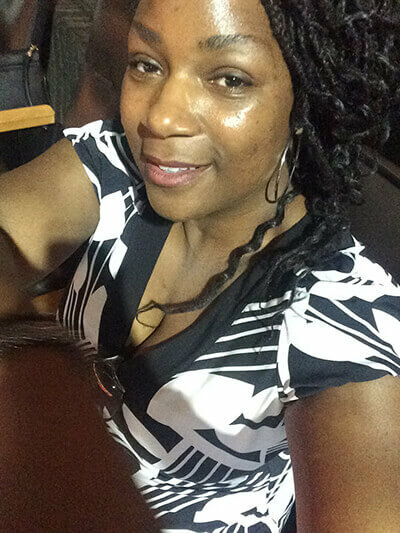 A true believer in the importance of whole-body health (mind, body and soul), Rekeena enjoys sharing her passion for holistic living and educating others with hopes for a happy, healthy tomorrow. 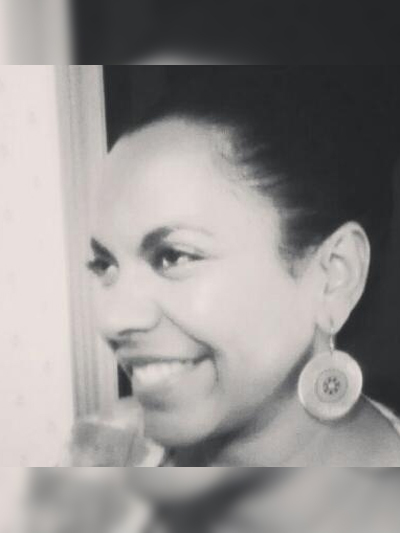 When asked how she lives life to the fullest, she eagerly shares “Meditation and Reiki a day keep Rekeena at play and the doctor away.” Rekeena is an advocate for achieving balance through nutrition and lifestyle, enthusiastically encouraging others to be the best possible version of themselves.